Gosh the sales are great, aren’t they?! 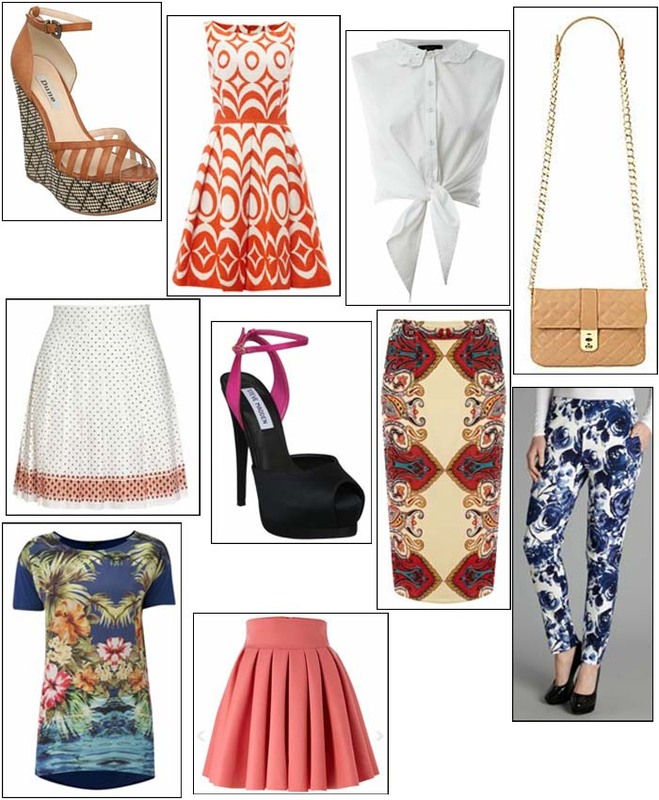 I’m torn between wanting classic pieces and bold prints – I absolutely adore the printed trousers and pencil skirt but the cropped blouse and the pleated skirt are lovely classic pieces. What have you snapped up in the sales? Dune Gevina – was £75 now £37. Therapy cut collar blouse – was £35 now £20. Jaegar Kate bag – was £150 now £75. Boutique by Jaegar Rene pleated skirt – was £70 now £40. Steve Madden Obsticle platforms – was £80 now £40. Warehouse Tejal scarf print skirt – was £45 now £30. Untold printed cropped trousers – was £80 now £40. Therapy Honolulu print tshirt – was £28 now £18. TFNC flared coral skirt – was £33 now £23.